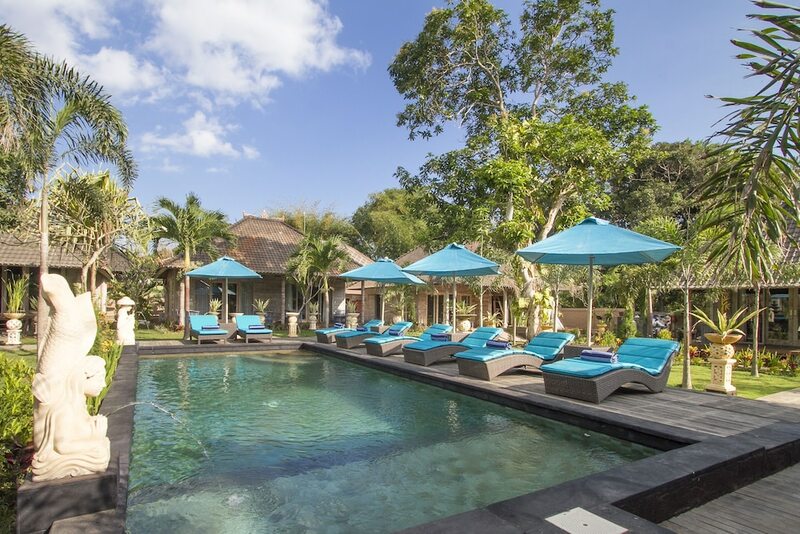 With a stay at The Palm Grove in Lembongan Island (Mushroom Bay), you'll be within a 10-minute drive of Jungut Batu Beach and Mushroom Bay Beach. This family-friendly hotel is 1 mi (1.5 km) from Devil's Tear and 1.6 mi (2.7 km) from Yellow Bridge. Make yourself at home in one of the 14 air-conditioned rooms featuring minibars and LCD televisions. Rooms have private patios. Complimentary wireless Internet access keeps you connected, and satellite programming is available for your entertainment. Private bathrooms with showers feature complimentary toiletries and hair dryers. Pamper yourself with onsite massages and body treatments. You can take advantage of recreational amenities such as an outdoor pool and bicycles to rent. Additional features at this hotel include complimentary wireless Internet access, concierge services, and babysitting/childcare (surcharge). Enjoy international cuisine at Palm Grove, a restaurant which features a bar, or stay in and take advantage of the room service (during limited hours). Mingle with other guests at the complimentary reception, held daily. Wrap up your day with a drink at the poolside bar. Breakfast is available for a fee.